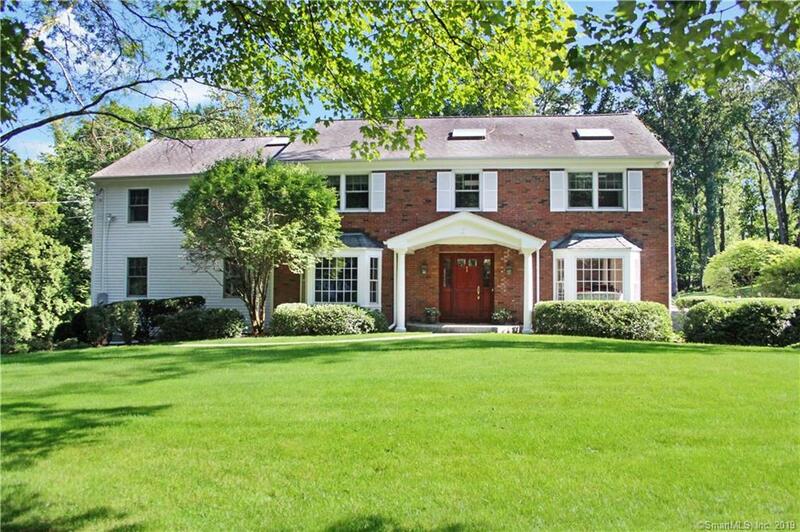 Gracious brick colonial set in one of North Stamford's most desirable neighborhoods. Convenient to everything, just North of the Merritt. This home has been expanded & renovated preserving its quality & charm w/the use of handsome moldings & built-ins. Fabulous updates through out surrounded by a level bucolic back yard w/specimen plantings. Gourmet eat in kit w/top grade stainless appliances, granite counters & abundant cabinetry. The home’s grand space offers unimpeded flow & terrific design versatility. Master suite w/marble bath & walk in closet+5 add'l beds & 4 baths.Walk out lower level suite+3 car gar. New high efficiency systems feature solar heating & full house generator. FLEXIBLE TERMS & PETS CONSIDERED-ALSO AVAILABLE FURNISHED. Electric car charging outlet in garage., Owner reserves the right to access lower level. Pets considered with interview. Flexible lease terms offered.